“When we see what is happening to non-Muslim worshipers in Niger, Nigeria, Afghanistan, China, Kenya, Central African Republic, Syria, Democratic Republic of the Congo, Egypt, the Philippines, Iraq and in Israel – it is a glimpse into our future. I have never hoped to be wrong any more than with this prediction. But I see all of this as testing grounds. It is coming to America.” – Carl Chinn, former federal and local law enforcement officer. 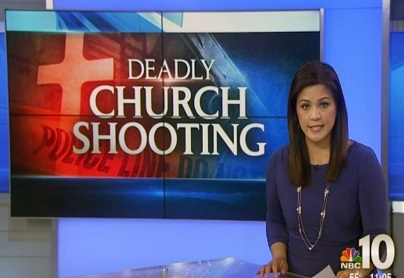 As the nation appears to abandon its traditions, more and more mass-shootings are being perpetrated in houses of worship. The upcoming seminar is appropriately named “The Three Strands of Church Security.” This 1-day conference, presented by the National Organization of Church Security & Safety Management , is being held at New Life Church, Colorado Springs, CO on June 9, 2018. The emphasis will be to help church leaders address critical security issues faced by all churches. Attendees will also be able to download a free Security Policies and Procedures Framework to get them started on their first steps toward developing and deploying a church security program. Jeff Kowell – Jeff Kowell is the recently retired Director of Life Safety of New Life Church. Jeff took the reigns of the security ministry right after the infamous December 2007 incident where a gunman took the life of two young ladies at the church. Under Jeff’s guidance, New Life has developed a robust security ministry which is a great model of what a church security ministry should look like. Jeff will be speaking on how to develop a security ministry for your church, whether it be large or small. Chuck Chadwick – Chuck was the past security director of several mega-churches, but now Chuck guides churches of all sizes toward solutions that address all security concerns. As the president of NOCSSM for over a decade, Chuck leads churches in the practical aspects of combating violent incidents. Chuck is also the president of Gatekeepers Security Services, LLC which has and is training and certifying volunteer church security teams for over a decade. This is not a seminar where the participants will learn how to RUN, HIDE, dial 911 and throw chairs and fire extinguishers. This is not a seminar where the participants will hear story after story of past incidents to convince the churches to do something. We assume that your presence at the seminar means you don’t need convincing. This conference is for attendees who want a structured, tried and true solution on how to meet the requirements of having a security team that can directly address current security issues and transition control to first responders as they arrive. 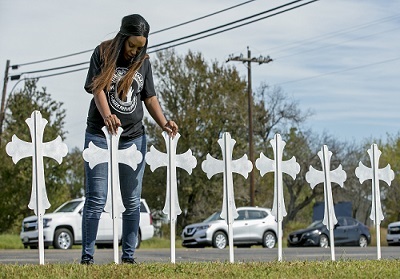 Sheree Rumph of San Antonio prays over two of the 26 crosses erected in memory of the 26 people killed in a shooting in Sutherland Springs, Texas on Monday, Nov. 6, 2017. 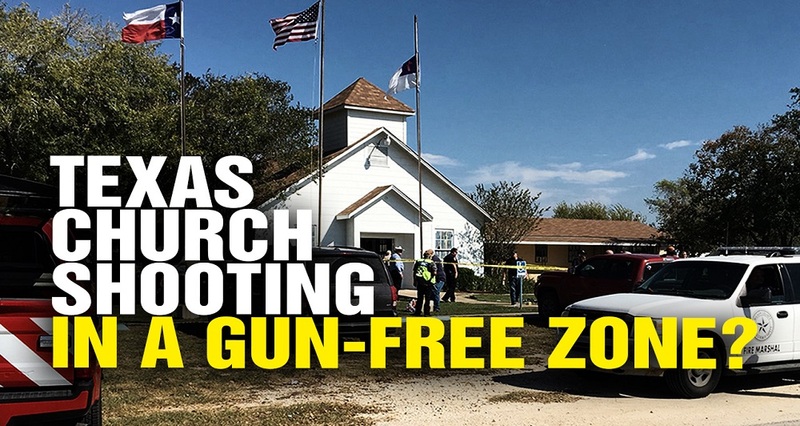 The shooting took place during a Sunday service at the Sutherland Springs First Baptist Church. Getting Started – How to get a Security Ministry started at your church? Technology – What measures are the most effective – Burglary, Fire, Access Control and Video Surveillance systems.